Fort Campbell, KY – The 2nd Battalion, 44th Air Defense Artillery Regiment, 108th ADA Brigade, attached to 101st Airborne Division (Air Assault) Sustainment Brigade, 101st Abn. Div., conducted a battalion field training exercise from May 11th-19th. The FTX ensured Soldiers of Battery B, 2nd Bn., 44th ADA Regt. certified on Table X, Indirect Fire Protection Capability, to ensure emplacement of the land-based phalanx weapon system occurred in the allotted time while also establishing sensor and warning protection for future IFPC missions. 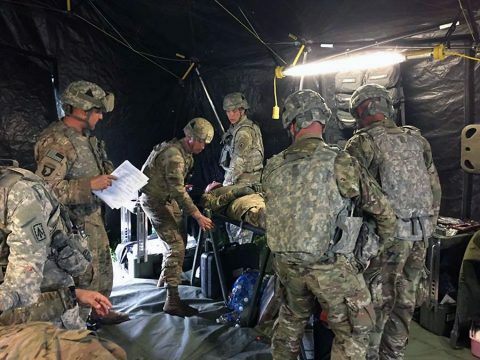 Fort Campbell, KY – Soldiers from Battery C, 2nd Battalion, 44th Air Defense Artillery Regiment, 101st Airborne Division (Air Assault) Sustainment Brigade, 101st Abn. Div., conducted a field training exercise, April 24th-27th here. 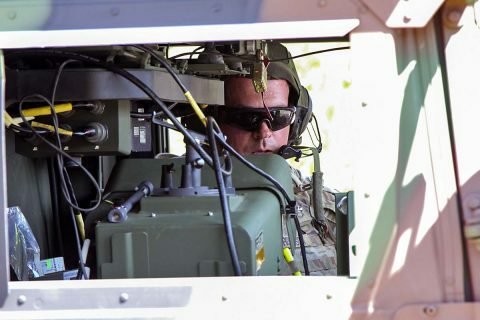 During the FTX, Soldiers conducted crew drills with the Avenger Air Defense System, which encompassed march order and emplacement of the system, missile upload and download of the systems missile launch pods, covert to man-portable air defense, and aircraft tracking.